Don’t forget. . .the “Make A Case for Love” Contest starts today! Click here to review the prizes and ways to enter. After the long list of books I didn’t read in 2009, I’m trying to be more realistic with my reading goals for 2010—and set the goal of reading the several books I’ve received/purchased in the past few weeks. 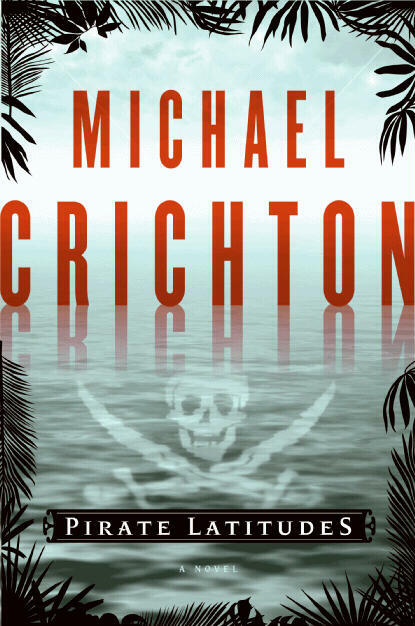 Most of Crichton’s books have been more “miss” than “hit” for me, but as this is his last book (the complete manuscript was discovered after his death), and because it’s set in Jamaica about 150 years prior to my books, I thought it would be interesting to read and maybe provide some inspiration for the pirates in Ransome’s Quest. I’ve already started reading it, but will have to set it aside until February 2 so I can get Love Remains written. The Caribbean, 1665. A remote colony of the English Crown, the island of Jamaica holds out against the vast supremacy of the Spanish empire. Port Royal, its capital, is a cutthroat town of taverns, grog shops, and bawdy houses. In this steamy climate there’s a living to be made, a living that can end swiftly by disease—or by dagger. For Captain Charles Hunter, gold in Spanish hands is gold for the taking, and the law of the land rests with those ruthless enough to make it. Having read the first two books in this wonderful series by a dear writing friend, I’m really looking forward to the final book in the trilogy. 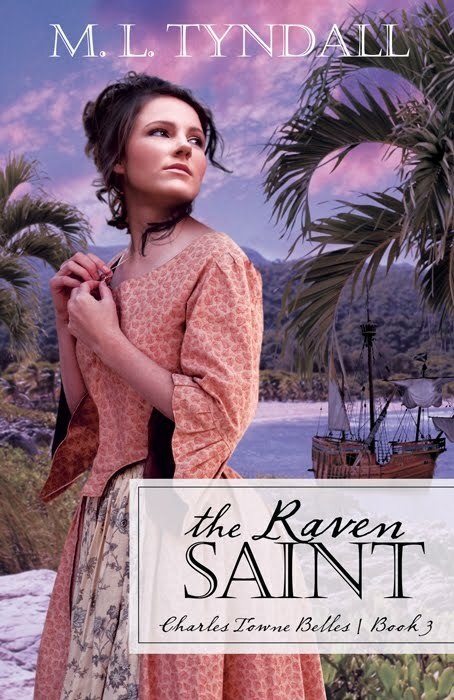 Captain Rafe Dubois kidnapped Grace Westcott for the money, but once she invaded his life with her religious piety—and her goodness and kindness—he knew he would never be the same. But falling in love means risking another betrayal. Will God’s Grace be sufficient? This may turn out to be an exercise in perseverance for me. I have tried to read Klassen’s first two books and both started out slowly enough that I got distracted by other things, put them down, and never got back around to picking them up again. But I am determined that I will get this book read because I keep hearing wonderful things about her writing and storytelling skills. Olivia Keene is fleeing her own secret. She never intended to overhear his. But now that she has, what is Lord Bradley to do with her? He cannot let her go, for were the truth to get out, he would lose everything–his reputation, his inheritance, his very home. He gives Miss Keene little choice but to accept a post at Brightwell Court, where he can make certain she does not spread what she heard. Keeping an eye on the young woman as she cares for the children, he finds himself drawn to her, even as he struggles against the growing attraction. The clever Miss Keene is definitely hiding something. Moving, mysterious, and romantic, The Silent Governess takes readers inside the intriguing life of a nineteenth-century governess in an English manor house where all is not as it appears. Henry James is one of my favorite late-19th/early-20th Century American writers. 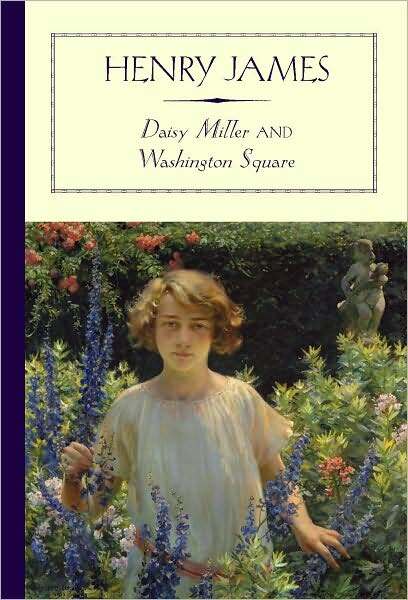 It’s been years since I’ve read Daisy Miller and I’ve never read Washington Square (though I did see a film adaptation of it a few years ago). Because I have so much trouble reading modern fiction, I’m hoping that returning to some classics might help me get past this “reader’s block” I now suffer from. I picked this two-in-one volume up at B&N this weekend in their buy-two-get-one-free classics sale. In Daisy Miller, James paints a vivid portrait of a vibrant young American girl visiting Europe for the first time. Lovely, flirtatious, eager for experience, Daisy meets a wealthy American, Mr. Winterbourne, and a penniless but passionate Italian. Her complex encounters with them and others allow James to explore one of his favorite themes, the effect of Americans and Europeans on each other. Washington Square’s Catherine Sloper is Daisy Miller’s opposite. Neither pretty nor charming, she lives with her wealthy, widowed, tyrannical father, Dr. Austin Sloper, who can barely conceal his disdain for his shy, awkward daughter. When a handsome suitor, Morris Townsend, comes calling, Catherine’s father refuses to believe he is anything other than a heartless fortune hunter and sets out to destroy her romance. Can you believe I’ve never actually read this book? This is the second of the three classics I purchased at B&N this weekend, not only because I like “collecting” hardcover classics—and because it was a way to get three books without resorting to buying yet another copy of one of Jane Austen’s novels (I have at least two different versions of each of the six completed novels, plus a couple of copies of some of her unfinished works). And with as much as I’ve always enjoyed this story (as well as Finding Neverland) I figured this one would be a good read for me. Peter Pan first flew across a London stage in 1904, overwhelming audiences with its tale of a magical boy who never grows up, who lures young Wendy and her brothers to Neverland where they meet pirates, Indians, fairies, and the Lost Boys. 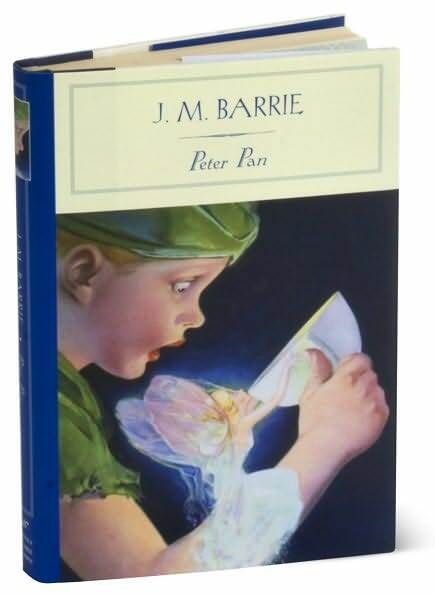 Following the play’s astonishing success, J. M. Barrie revised and expanded the story andpublished it as this novel, originally titled Peter and Wendy when it appeared in 1911. For children, it remains a marvelous mix of fantasy and adventure, featuring unique, imaginative characters, who frisk and frolic in an enchanting land. For adults, the story of Peter and the Lost Boys works on a much deeper level, speaking to them about the inevitable loss of childhood and the ability “to fly.” The climactic duel between the “proud and insolent youth” (Peter Pan) and the “dark and sinister man” (Captain Hook) is both a swashbuckling romp and a moving metaphor for the complex, poignant struggle between innocent but irresponsible youth and tainted but dependable maturity. Neither side wins, for the one inevitably becomes the other. Of course, the ageless Peter Pan is the happy exception. This is the second book in the Walk in the Park series by my fellow Barbour author Annalisa Daughety, and with as much as I enjoyed the first book in this series, Love Is a Battlefield, I’m really looking forward to this outing! Discover the Washington Monument along with park ranger Vickie Harris who loves her job. But while life in the District of Columbia is exciting and fun, shy Vickie has resigned herself to the likelihood of being single forever. She’s never been head-over-heels in love. . .not even really been kissed! But when a handsome professor asks the reserved, research-loving ranger for assistance on a project, will Vickie agree? Will she come out of her shell long enough to discover that Love Is Monumental? As an English major, I have read excerpts from both of these essays from one of the key transcendentalists, but I have never read either of them in their entirety. So my goal is to read at least one of them all the way through this year. Henry David Thoreau was a sturdy individualist and a lover of nature. In March, 1845, he built himself a wooden hut on the edge of Walden Pond, near Concord, Massachusetts, where he lived until September 1847. Walden is Thoreau’s autobiograophical account of his Robinson-Crusoe existence, bare of creature comforts but rich in contemplation of the wonders of nature and the ways of man. On The Duty Of Civil Disobedience is the classic protest against government’s interference with individual liberty, and is considered one of the most famous essays ever written. 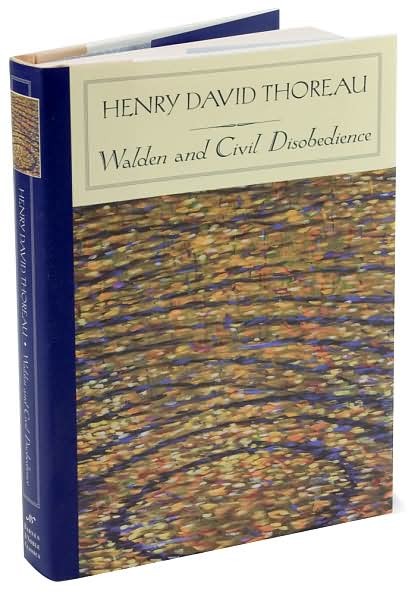 This newly repackaged edition also includes a selection of Thoreau’s poetry. I had never heard of this until I saw an article in the NYT while I was in Louisiana reviewing the documentary made from this book. Louisa May Alcott is one of my favorite classic authors, and my overall favorite 19th Century American author. 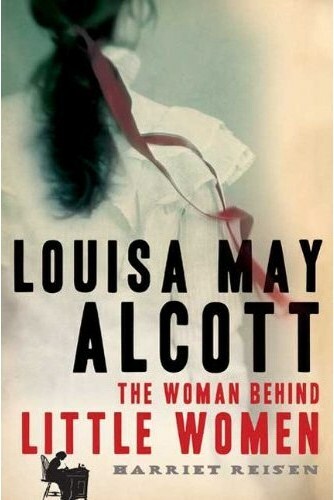 Louisa May Alcott portrays a writer as worthy of interest in her own right as her most famous character, Jo March, and addresses all aspects of Alcott’s life: the effect of her father’s self-indulgent utopian schemes; her family’s chronic economic difficulties and frequent uprootings; her experience as a nurse in the Civil War; the loss of her health and frequent recourse to opiates in search of relief from migraines, insomnia, and symptomatic pain. Stories and details culled from Alcott’s journals; her equally rich letters to family, friends, publishers, and admiring readers; and the correspondence, journals, and recollections of her family, friends, and famous contemporaries provide the basis for this lively account of the author’s classic rags-to-riches tale. . . . Louisa May Alcott is in the end also the story of how the all-time beloved American classic Little Women came to be. This revelatory portrait will present the popular author as she was and as she has never been seen before. 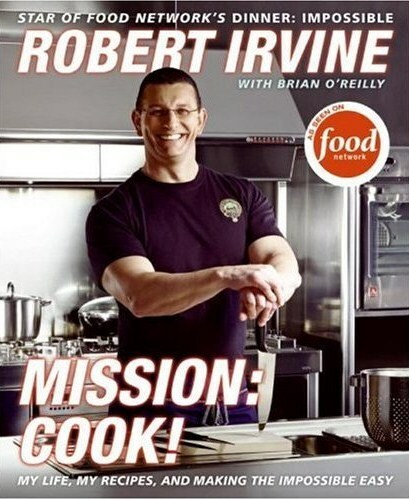 My mom knows how much I love Dinner: Impossible on Food Network, so she got me Chef Robert Irvine’s book which is half-autobiography and half-cookbook. It’s one that’s easy to pick up and put down after reading the 3–4 page anecdotes about Irvine’s life and the experiences that made him into what he is today. While I’ll probably never use any of the recipes (who knows, though, because I haven’t read them all yet), I’m already enjoying learning more about one of my favorite TV chefs. As the host of Food Network’s Dinner: Impossible, chef Irvine routinely pulls off last-minute feats of Herculean culinary might, assembling multi-course meals for large groups in out-of-the-way locations with few resources. . . . Alongside tales of his time in the Navy (where he prepared a last-minute meal for 2,000 refugees) and Hollywood (a lavish post-Oscar celebration makes a nail-biting yarn), recipes for impressive dishes like Black Angus Beef Tartare with Toasted Brioche and Fried Quail Egg, Roasted Duck with White Bean Ragout, Truffle Oil and Shaved Parmesan Cheese and simple but flavorful Grilled Winter Vegetables with Pesto Dressing give readers plenty to think about and salivate over. . . . 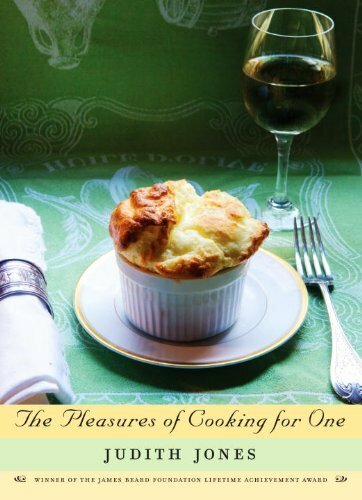 I hadn’t heard of this book until the food commentator on NPR listed it amongst the top ten cookbooks of 2009—and as soon as I heard the title, I knew it was a book I wanted. And my dear mother, having either heard me mention it or hearing the broadcast herself, got it for me for Christmas. Again, it’s one that’s more of a pick up and peruse every now and then type of book, but I’m really looking forward to digging into it. ← The MAKE A CASE FOR LOVE Contest Starts Tomorrow! That sounds like a good list of books to read. I don’t have any reading goals, simply because I do tend to read different genres and I don’t want to limit myself by saying that I “must” read certain books by a certain time frame. If I’m not in the mood, then why force the issue? I did just add Beverly Lewis’ books to the list – Books 2 and 3 in the same series as The Shunning. Thanks to finding out that I could get The Shunning for free, I downloaded it – I never wanted to pay for an Amish book – and while the writing isn’t the best, the story is intriguing enough that I want Book 2 and I want it now! 🙂 LOL – cept I don’t have the money to buy it at the moment. I downloaded The Shunning at around 6pm today and except to eat dinner and a few other things, I basically sat all the way through it. My main reading goal is to whittle my TBR list down. Well, I wasn’t going to make a list at all, and then I went out and bought more books. ::sigh:: Will I never learn? I’ll probably re-read the Harry Potter books sometime this year. That’s become an annual thing for me. I really want to read the Raven Saint and The Silent Governess as well. I didn’t know about some of the books you had posted but I might look into them. Peter Pan is an interesting choice though. I haven’t read that one but I know what you mean with multiple versions of Jane Austin books. Good luck! If I hadn’t seen the B&N hardcover copy of Peter Pan sitting there on the shelf, I probably wouldn’t have chosen it as one of the classics I want to read this year. But I figured it was shorter than a lot of the other classics that were sitting there and one I had a better chance of enjoying! I haven’t read any of Klassen’s books, but this one does sound intriguing, like one of the Victoria Holt Gothics I used to devour. Might have to try that one. And I’ve been meaning to read Annalisa Daughety’s books. I love National Parks, and they sound delightful. Henry James? I’ve tried. Really, I have. For me, it’s like slogging through knee-deep mud . . . but the Alcott book sounds great. I’ll have to look into that for the library! I wonder if people have any idea how many books are purchased for libraries from recommendations like this? As opposed to many of the other classic writers, at least Henry James’s novels are relatively short. Turn of the Screw is probably my favorite. 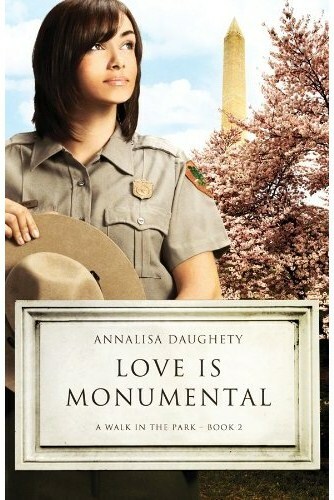 But I really enjoyed the movie of Washington Square, so I thought it would behoove me to read the book. I can’t say that I have a 2010 goal list. Mine is more of a continual “read this when you find the book/time” list. I am making an effort to incorporate more non-fiction in my reading. I may add a few of these to my “too read” list as well. Klassen’s Apothecary’s Daughter turned out to be a good read, so I’ll probably look up Silent Governess this year. Well, as I said, I originally wasn’t going to make a list. But then I went and bought a bunch of books (and I should have a couple arriving from Amazon today that didn’t even make this list, including Miss Pettigrew Lives for a Day and The Making of a Marchioness which are going onto the “if I can get around to it, someday” list. That Marchioness book sounds intriguing! According to Amazon, it should be in my cold little hands today—but Fed Ex hasn’t delivered it yet. Miss Pettigrew came via USPS earlier, and I’ve already read the first chapter, but had to force myself to put it down and get to work on Love Remains. Did your book ever arrive? If you find you just can’t get into P&P, read Persuasion instead. It’s my favorite of Austen’s books (and it’s much shorter than P&P). I’m doing what you’re doing with the classics—picking up the ones that I probably should have read as an English major, but either just faked my way through discussions/exams on or was never assigned to read them. I’m so glad someone else can’t get into Klassen! Some people seem to love her, so I was wondering if there was something wrong with me. It’s disappointing because her covers are BEAUTIFUL(though the first one really confused me in terms of time period). Let us know how you like that one. The covers are beautiful, as is her writing style. But it’s like some folks here have commented—not ever writer is going to appeal to every reader. But The Silent Governess has a plot that sounds a lot more like what I enjoy reading than the other two, which are more women’s fiction than romance. I may have to put off reading it until after I finish writing Ransome’s Quest this summer, though. It’s so hard for me to read currently published novels set in the same time period as what I’m writing, because it’s too hard for me to stop analyzing their research and their voice/style in writing the era to actually enjoy the story. I’m reading The Raven Saint now. I really enjoy Tyndall’s novels. And I’m getting a review copy of The Governess any day. I do enjoy Klassen’s books. I think whatever book you’re reading you just have to be in the mood. I can’t seem to get in to Snelling novels for some reason. I think it’s just a personality thing sometimes. It doesn’t necessarily reflect on the writer’s talent. I’m by no means impugning Ms. Klassen’s talent. From what I’ve seen, she’s a wonderful writer. I just haven’t been intrigued enough by the stories/plot-lines in the first two books to force myself to read them. I’m hoping to eventually get back around to them, though, when I might be in a better frame of mind for reading them. Sometimes, I think timing is in it, whether a book will strike your fancy. I didn’t mean to imply you didn’t think Klassen had the talent, hope you didn’t think that, but rather realize that there are so many variables. One of my quirks is, I don’t usually enjoy first person books, but sometimes I can get into them. It depends on my frame of mind, too. I have to admit to having a similar quirk, Carla. First person pov doesn’t usually appeal to me. Over the last year or two I’ve tried to get over it. 🙂 It seems books written in the first person are becoming more prevalent. I found myself asking aloud in B&N the other day, “Why is everything written in first person?” as I would put books (which had originally looked interesting) back on the shelf. For me, there are very few authors who do first person well—most of the rest of them seem to use first person because they think it’s the easy way out so that they don’t have to worry about finding that balance between narrative and dialogue, figure out the limited POV thing, or worry about author intrusion when they have the first-person character turn around and “tell” the reader things—backstory, descriptions, spiritual lessons, etc. Reading goals…hmm. Maybe try and get through Les Miserables. I’ve heard a lot of good things about the book (and the musical is my very very very fave–I mean like obsessive favorite 😉 ) but two huge books? Kind of scary. 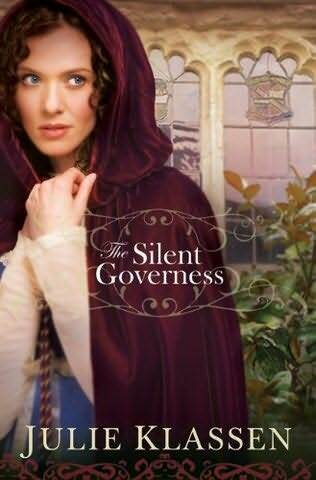 The Silent Governess looks like a Christian version of Jane Eyre (another book I need to read all the way through). I wasn’t too crazy about the first Klassen book (didn’t like the end), but I did like the second book. I’d like to read this one, though–sounds intriguing. I agree that reading taste depends on personality. I never was crazy about Snelling, even back when my reading material consisted solely of Janette Oke and Beverly Lewis. But I have a friend who loves them. There are few enough Dacuses in the U.S. that I can pretty much guarantee that we are related fewer than seven or eight generations back. Definitely check out Annalisa Daughety’s books. She started out writing chick lit before she was published, but has kept much of that light-hearted, humorous tone in her romances. Awww . . . thanks, Jennifer. But, as we’ve all admitted, it’s a personal-preference thing. Check out the 0, 1, and 2 star reviews for Menu for Romance on Library Thing. What will you do as new books are released? So many good books each yeah…sigh. That’s my problem. I can’t get enough of them. But you’re right to make a small list. I generally don’t set goals to read specific books, unless they are for research or craft. Anything else could easily be supplanted by something new. Last year, I set a goal to reads 100 books but that didn’t happen at all. (I only read about 30 books.) So like you, I am more realistic with my reading goals this year. I plan to read 50 books (and ten of those 5o will be classics). I’m looking forward to tallying my results on 12/31/2010.